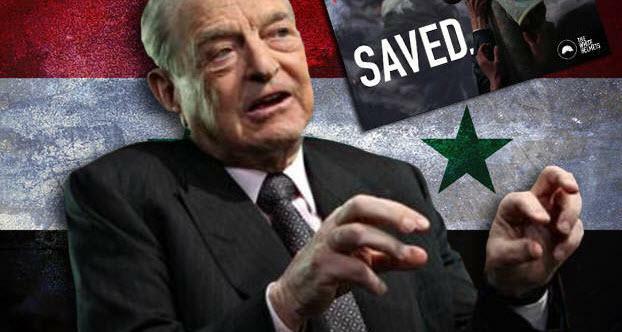 Soros Color Revolution In Syria? As the observers and analysts of events in the Middle East were busy looking at the aftermath of the downing of the IL-20 and the deployment of the S-300 in Syria, a great new danger is now looming. President Assad issued a legislative decree (Decree No 16) and which is intended to reform the ministry of Awqaf (Religious Endowments). The “Awqaf” is a Sunni Muslim tradition that has been around for centuries, and its role is to manage the funds of family trusts. After the dismembering of the Ottoman Empire, the new states separated their own “Awqaf” and established their own religious bodies to manage these affairs and funds. Much has been said in the Arab World about Presidential Decree No. 16, but in reality, nothing has been said about its actual contents and context. When I began reading criticisms of it, they gave the impression that the Decree is handing over the executive authority of Syria to the Sunni Clergy. Videos made and posted by Syrian activists expressed grave concern about Syria following the footsteps of Saudi Arabia in imposing Shariah law on the streets of Syria. There are countless posts reiterating that they are against the imposition of Shariah dress on Syrian women and other similar concerns and linking this to the Decree. There was also confusion about the origin of the Decree and a great deal of criticism of the Minister of Awqaf as the man allegedly being behind it all. This soon developed into a wave of paranoia and fury that dragged in many normally sombre and serious analysts and activists into supporting the outrage and expressing deep concern and even anger against the government. I observed all these developments with great concern, not knowing if they were based on any reasonable foundations because I did not really see the actual wording of the Decree in question. The confusion relating to the origin of the Decree, among other things, made it difficult to Google, however I finally managed to find it. To begin with, and contrary to the statements of many its critics, it is a Presidential Decree and not one originating from the Minister as these critics claimed. It is a 37 page document comprised of 7 sections and each section is divided into chapters. As I sat down to read it, I began to doubt if it was the actual document that the whole uproar was about. I therefore decided to write an Arabic extract of the main and relevant points it mentioned. The extract was quote-unquote based so that I do not use my own words. The emphasis was on matters of political power and religious power, whilst matters relating to financial management and the like were skimmed through very briefly. The link provided herein is for the Arabic post I made. https://intibahwakeup.blogspot.com/2018/10/3-october-2018.html I am not going to translate this to English and I apologize for that. Those who are interested in an English translation can use online translators and whilst these services have their limitations, they are nonetheless good enough to relay the main underlying context. In brief, the Decree does not separate the State from the Sunni Muslim institution, this is true. However, it puts the religious institution under the hand and authority of the Civil Government. This, in my humble view, is a bold Presidential step towards full secularism. The Decree imposes regulations on religious activities, teaching, preaching and other related matters, to ensure that extremism namely Wahhabism and the Muslim Brotherhood are kept out and that Muslims are taught that they can be good Muslims and good Syrian citizens at the same time. Sadly, experience has taught us that if Sunni religious institutions are left alone, they can be infiltrated by prejudiced fanatic zealots who can in the future, potentially reignite the fire. If anything, Decree no. 16 takes precautionary measures to ensure this doesn’t happen. I did not see in the Decree any allusion to the imposition of Shariah code dress on women, and quite frankly, I did not see anything in it that justifies the outrage. As I was in the beginning wondering if I was reading the actual document that had caused the outrage, I ended up wondering if the ones doing the outrage have read it at all or even bothered to try to Google it and find it. The War on Syria has not finished and, over the years I have written many articles about directions that the enemies of Syria took it in order to morph the war and reshape it in their favour. What Syria now needs is rationality and education. It’s a good start to have faith and confidence in the leadership and Decrees of the President, but this trust can be further bolstered by actually looking at facts and discussing the Decree for what it says and not by attributing it to the words of some extremist clerics and making judgements made on totally irrelevant criteria. However, the current voices of dissent in Syria are led by supporters of the Syrian Government in its war, they are led by alleged “reformers” and scholars, who are twisting facts and feeding the public with disinformation alleging that the said decree is a sell out to the Islamists. With the great help of Intibah (my wife) I have caught them out, and was able to demonstrate that they are either lying deliberately, or that they have issued statements about the decree without reading it. Those stirrers are trying hard, and very hard, to give the educated secular youth the impression that the government is intent to allow their sacrifices to go in vain. The campaign is spearheaded by some scholars and a member of the Popular Assembly (Parliament) by the name of Nabil Saleh. Saleh is an independent MP who has placed himself against the war on Syria, but not in support of the politics of the Government. He identifies himself as a reformer, a fighter for justice and rationality. However, the campaign of disinformation he is leading does not seem to be based on any rationality at all, but rather on deliberate twists and misinterpretations of Decree No 16. All the while the Grand Mufti Hassoun seems to be keeping silent. The campaign is splitting the victors of the war on a very basic issue. Even the grass-root constituencies that have supported the Assad legacy for decades are getting inflamed and angry. What is really dangerous here is that as this campaign is giving the false impression that fundamentalist Sunni Islam is winning the battle of government legislation, confused members of other religions are now asking what is in it for them and why did they make all those sacrifices? My fear is that if this wave of disinformation grows, it will (God forbid) produce the real civil war that Syria did not have. In my Arabic writings, I have been urging readers to develop informed views and asking for calm, but my voice does not travel as far and as loud as the voices of the stirrers. Now, Syrians have been “asked” to wear red at 4 pm on Tuesday (the 9th of October) in protest to the Decree. 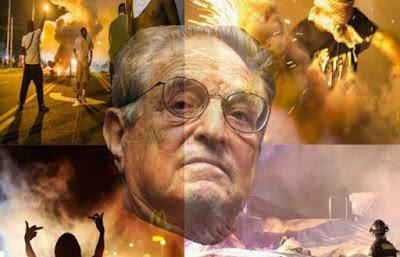 Everything about this current hysteria, beginning with disinformation, fearmongering and ending with “Red Tuesday”, are all hallmarks of a Soros-sponsored colour revolution. Did the Western infiltrators who penetrated Syria’s security defences (and whom I and others have warned about repeatedly) establish sleeper cells that have been now activated? Incidentally, the colour red is considered by fundamentalist Muslims as lustful and provocative for women to wear. The choice of the colour perhaps underlies a subtle statement to this effect. Charge the provocateurs with maliciously spreading disinformation and causing civil strife. This option will however turn Saleh and others in living martyrs and may intensify the situation further. Ignore the public anger in the hope that it will recede and go away, but such an action may anger the protestors even more and push them to escalate their action. Or simply to withdraw Decree No 16 even though it is a very good piece of legislation. Such a withdrawal will hopefully absorb the current hysteria and provides the Government with time to deal with whom and what was behind it. The S-300 may now be giving Syria security in the skies, but those who are stirring the mud are creating a new grave danger on the streets.